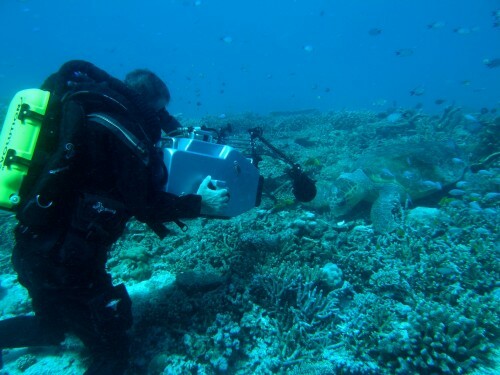 During filming of Gulliver Media’s natural history documentary entitled ‘LOGGERHEADS- THE LOST YEARS’ we used closed circuit rebreathers to go into stealth mode and we were able to silently approach Loggerhead turtles as they fed on clams on the Great Barrier Reef. This was the first time this behaviour has ever been captured thanks to the innovation of the rebreather. 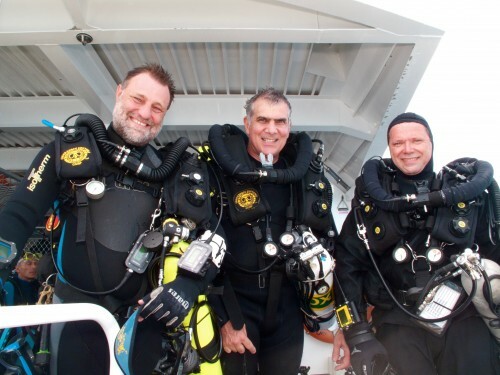 Ross Isaacs was the first person in Australia to utilise closed circuit rebreathers for natural history filming. 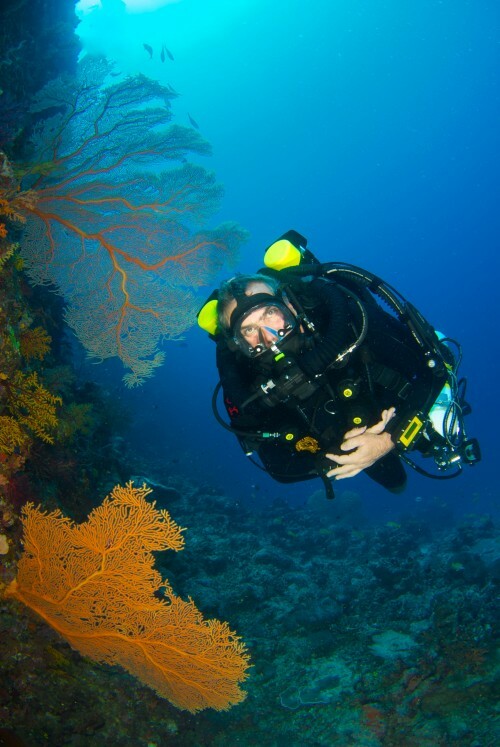 We use a variety of closed circuit rebreathers but currently use the ISC Pathfinder because of it’s compact form. 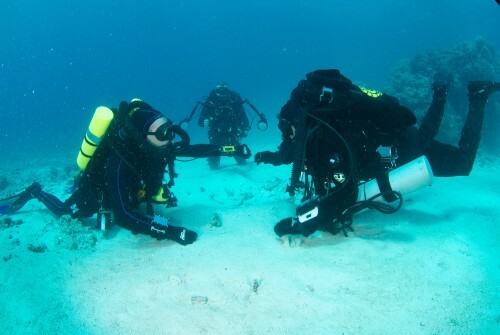 Our dive crew is continually training on the Megalodon closed circuit rebreathers so their skill sets are up to date. 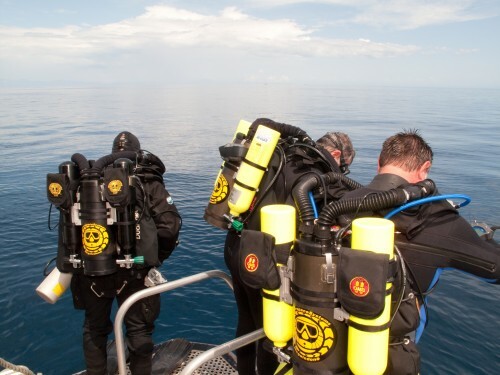 Advanced technical dive instructor Lance Robb of Closed Circuit Divers instructs Ross Isaacs in a Megalodon cross over course on the Great Barrier Reef.